Safeguarding privacy has always been a key concern for smartphone owners. Your Android phone constitutes a part of your identity. Let’s think about it. If someone broke into your phone and accessed your apps, they could text people in your name and borrow money. They could also be able to post embarrassing stuff to your Facebook account and do a hell lot of other harmful things. 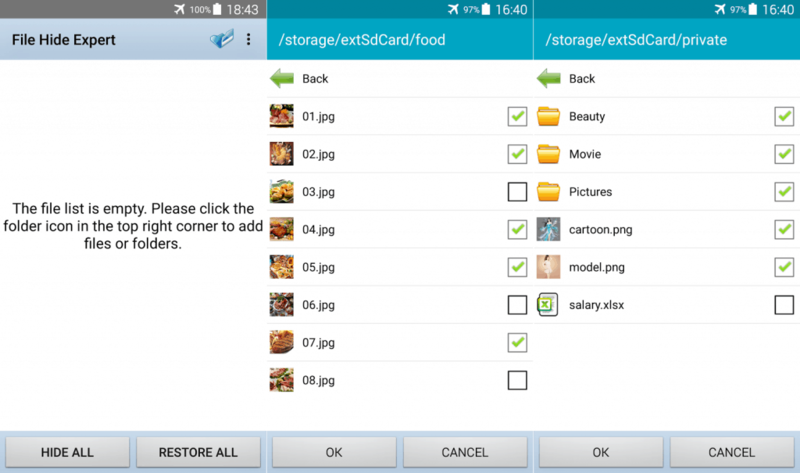 It happens that you want to protect some of your photos, apps or files on your Android handset. To start with, you might do just well with an app hider Android tool. In this article, though, we look at the best ways to hide your photos, files, and apps on your Android handset. Most Android handsets lack a stock capacity to hide files and stuff. To do this, you’re going to have to settle on third-party tools. One excellent app to do this is File Hide Expert, which makes it super easy for you to hide or unhide any file on your Android handset. The app is free and you can download it from the Play Store. Once you launch File Hide Expert, you’ll get a notification that your hidden file list is currently empty. You should tap the folder icon located on the top-right side of your screen to get the action started. The app is pretty basic and works like an ordinary file management application. Just provided you know where a particular file is, you can hide it. Doesn’t’ matter what type it is. You can also restore your hidden files with a simple tap using File Hide Expert. File Hide Expert is a great app hider Android tool, but not necessarily the best fix solution for hiding photos. To keep prying eyes from those sensitive photos of yours, you’ll need another app called KeepSafe. This basically creates some kind of a digital vault where you can hide anything you don’t want showing elsewhere. You’ll need to use a pin each time you access your private files. 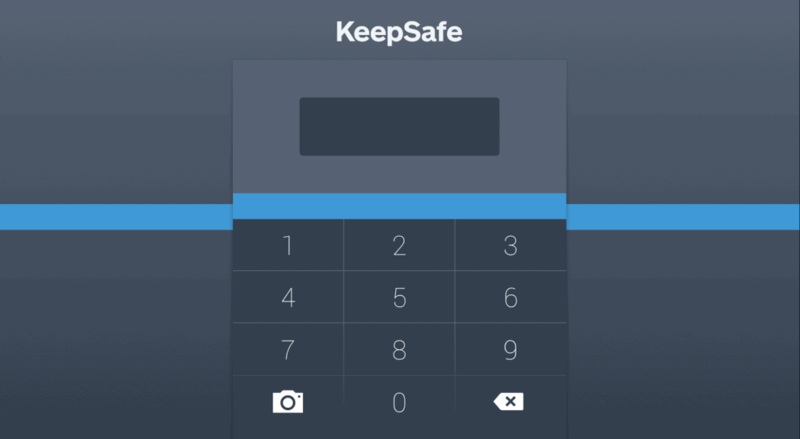 There’s also a backup option so you can recover your sensitive photos and other files in case you lose them KeepSafe is currently free, with premium features available for $5 monthly. If your app drawer is getting crammed full with applications, it might be time to get rid of some. This is a great way to clean your app tray and keep guest users from coming across apps you consider eyes only. Some Android launchers do offer this capability right out of the box. For instance, Samsung smartphone users are able to hide apps on their devices without having to rely on a 3rd party app. If your current launcher doesn’t support this functionality, you might want to give Nova Launcher a try. It makes hiding apps an easy and uncomplicated procedure. File Hide Expert, KeepSafe, and optionally a powerful launcher are all you need to keep private stuff private on your Android device. If you’ve got some sensitive image or file lying bare on your device, it might be time to play a little defense.